Abu Dhabi’s sovereign fund is now suing the investment bank for its role in the Malaysian scandal. Damages being sought could exceed Goldman’s average net profit of $5.4 bln. U.S. authorities may want a piece, too. The longer this drags out, the worse the financial fallout looks. 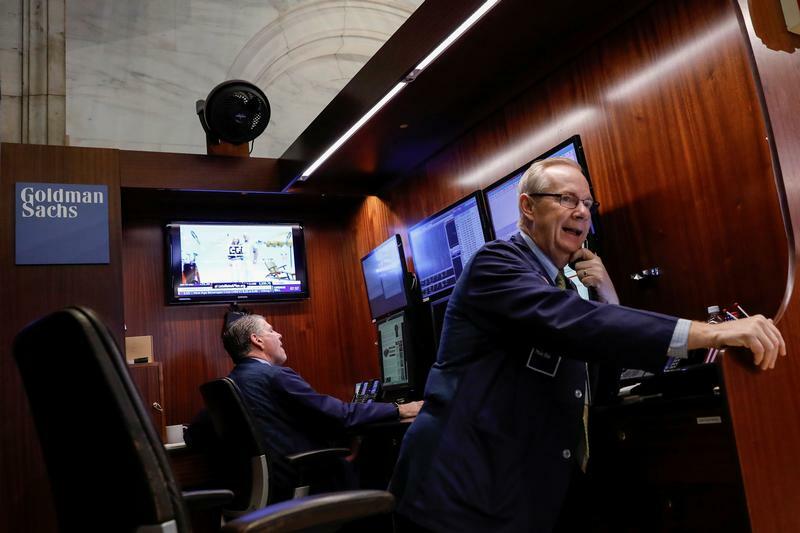 Traders work inside the Goldman Sachs booth on the floor of the New York Stock Exchange (NYSE) in New York, U.S., September 21, 2018. An Abu Dhabi sovereign fund on Nov. 21 sued Goldman Sachs and others in a New York court to recover losses related to Malaysia’s 1MDB sovereign fund. The lawsuit alleges that the U.S. investment bank conspired to bribe two officials of International Petroleum Investment Company and its Aabar unit. It adds that “in exchange for the bribes paid by Goldman Sachs and its co-conspirators” the officials agreed to manipulate and mislead IPIC and Aabar. Goldman said it expects to contest the claim vigorously. IPIC agreed to jointly guarantee two bond issues, worth a total of $3.5 billion, arranged by Goldman for the Malaysian fund in 2012. The bonds are due to mature in 2022. As part of a 2017 London arbitration award, 1MDB and Malaysia’s finance ministry agreed to assume responsibility for the principal and interest of the two bonds. Malaysia has now filed papers to set aside this settlement which it says is worth a total of $5.8 billion. The U.S. Department of Justice has said about $4.5 billion was misappropriated from 1MDB between 2009 and 2014. Earlier in November, U.S. prosecutors filed criminal charges against two former Goldman bankers. One, Tim Leissner, pleaded guilty to conspiracy to launder money and conspiracy to violate the Foreign Corrupt Practices Act.